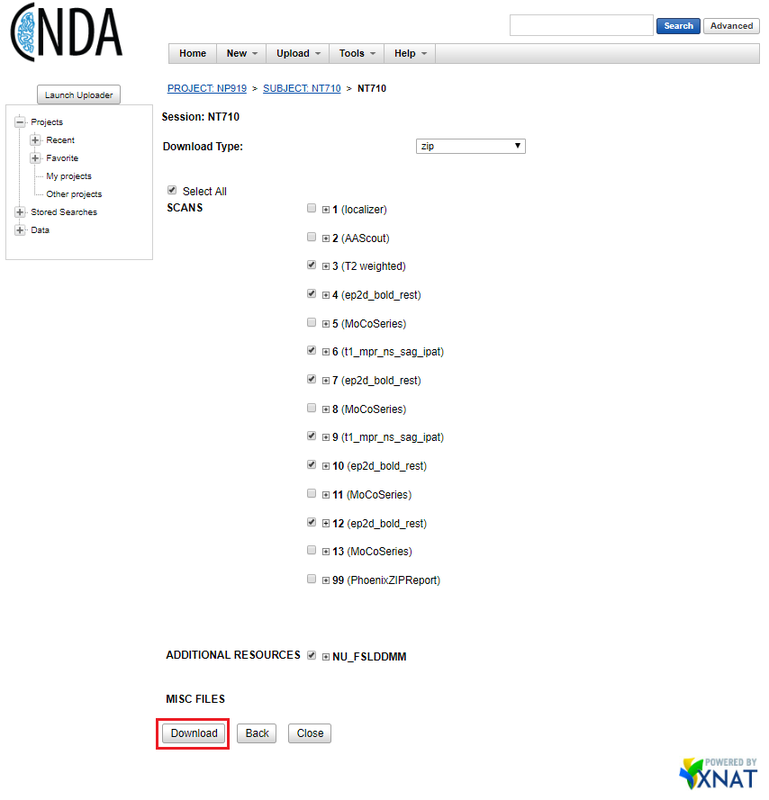 There are 3 ways to download DICOM data from CNDA. 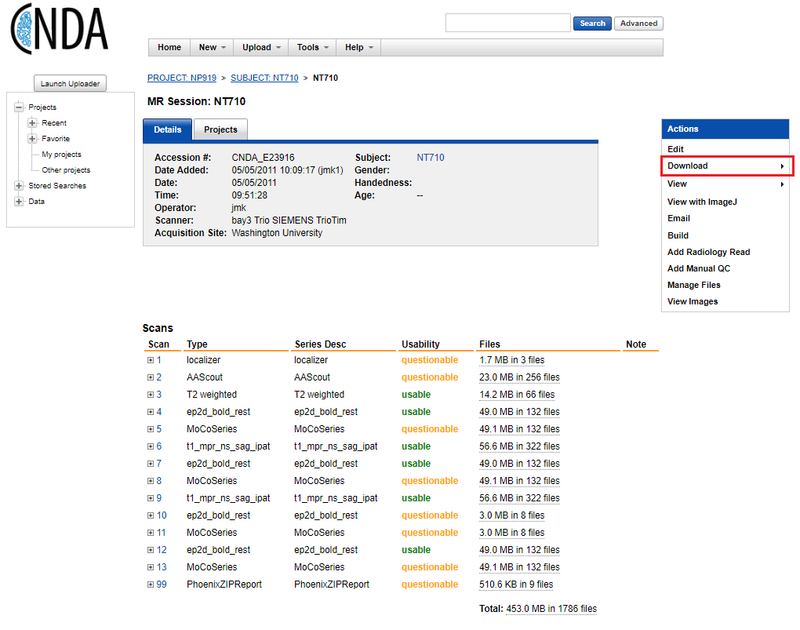 You can download DICOM data for a single subject by navigating to a particular subject session and selecting the ‘Download’ option from the actions menu. 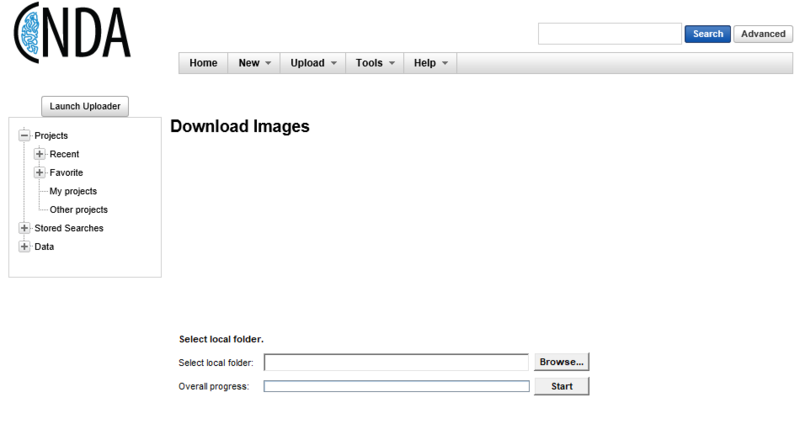 This will bring you to a page where you can select individual scans to download for a session. This Java applet will not work in Chrome; run from IE or other browser. 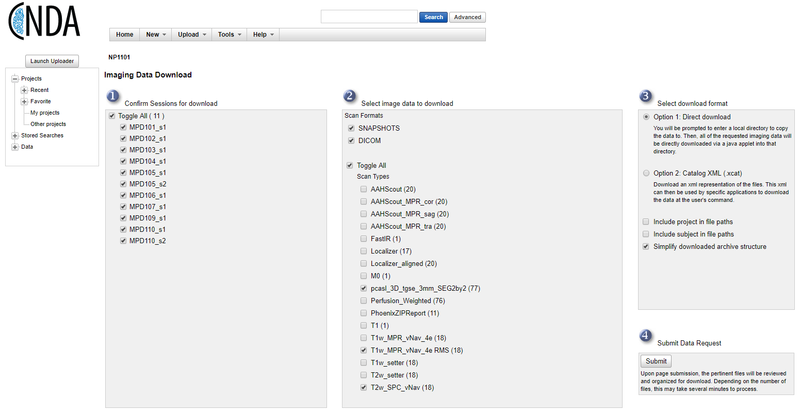 You can bulk download DICOM data for a project by navigating to the project page and selecting ‘Download Images’ from the actions menu. 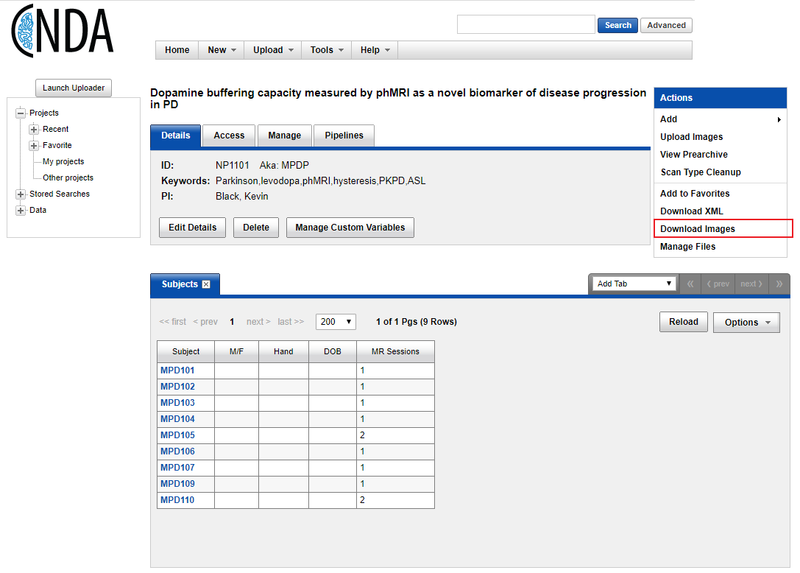 This will bring you to a page where you can select scan types to download for multiple subjects. The defaults in step 3 should be sufficient. 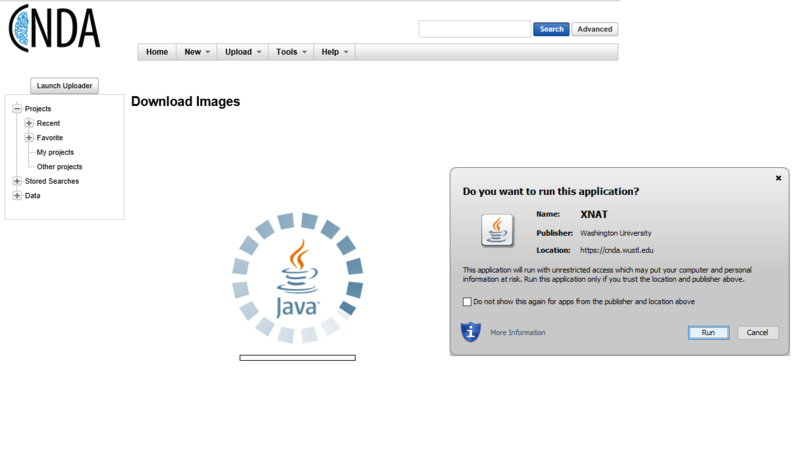 The next screen will show a pop-up asking for permission to run the Java applet, choose ‘Run’. You will then choose a local folder to store the downloaded data before selecting ‘Start’ to begin the download.